A young man picks up a woman in a restaurant by cheekily telling her, "You've really got to stop staring at me." A woman who works as a successful realtor reflects that "if she had a gift for presenting [houses] not as they are, but as they really should be, well, that was only to be expected of someone who'd lived with an alcoholic for as long as she had." As a writer and poet, Laird himself has been hailed as something "fresh." Born in Northern Ireland, he came of age during the everyday violence of The Troubles. Reinvention is a big theme in Laird's work and he's living proof of the possibilities of change: He was the first in his family to go to university — in his case, Cambridge, where he met his wife, the novelist Zadie Smith. It's all a far cry from the kind of small town in Northern Ireland where Laird grew up, and where a large part of Modern Gods is set. This novel starts out as a version of the time-honored tale of two sisters — one who stayed home and one who went away. Alison, the younger, is the homebody. A divorcée with two small children, she works in her parents' real estate business in Ballyglass, Northern Ireland. Her older sister, Liz, is 34. She's an anthropology professor who teaches, listlessly, in New York. We're told Liz has come to the realization that she's "the kind of teacher who talks fast because she's not entirely sure of her facts ... and whose lesson plan is three lines long and most weeks consists of reading out chapters of her own far-from-finished book." When the novel opens, Liz is reluctantly flying back to Ireland because Alison is going to be married again. Unlike her first husband, a bullying policeman who drank too much, Alison's new intended is a mild-mannered handyman named Stephen. Stephen, however, waves red flags that Alison willfully ignores: On their first date, he tearfully tries to tell Alison about things he's done in his past that he's ashamed of and paid for. Alison shuts him down. She later Googles his name with the words "murder," "bombing" and "terrorist." When she finds nothing, Alison convinces herself that whatever Stephen did couldn't have been that bad. They'll live in the present, she thinks. Right. So it is that on the first day of their honeymoon, Alison and Stephen awake to see their wedding photos splashed on the front page of Sunday papers under outraged headlines. When Modern Gods stays within the bounds of this closely observed family story — about Alison's shot at happiness thwarted by the power of the past; about Liz's reckoning with the price she's paid for leaving Ballyglass — it's an engrossing spin on Laird's signature theme of reinvention. But Modern Gods doesn't stay within those bounds. It gets antsy or maybe even anxious about sticking to the traditionally female terrain of domestic drama, and so in its second half the novel goes seriously haywire. Think Heart of Darkness without its colonialist weight or A Handful of Dust without the laughs. Liz, the anthropologist, accepts a last-minute gig to be the "academic presenter" on a BBC documentary about a new religious movement erupting on an island off the coast of Papua New Guinea. Deep into the rain forest, Liz treks to interview a charismatic female prophet whose followers fiercely identify with their religion and a commitment to political independence, even at the cost of violence. Lest the parallels with Northern Ireland be lost on us readers, the island Liz flies to is named New Ulster. And, like most literary jungles, this one is lush with epiphanies waiting to trip up its white European visitors. Liz returns from the jungle a changed woman, hungering for community. Meanwhile, back in Ballyglass, her sister, Alison, is busy questioning her own belief in marriage as a form of salvation. For a novel that ultimately aims to expose the dangers of political and religious orthodoxies, Modern Gods winds up getting awfully preachy. In the second half of the book, all those witty phrases Laird was turning earlier grind to a halt. 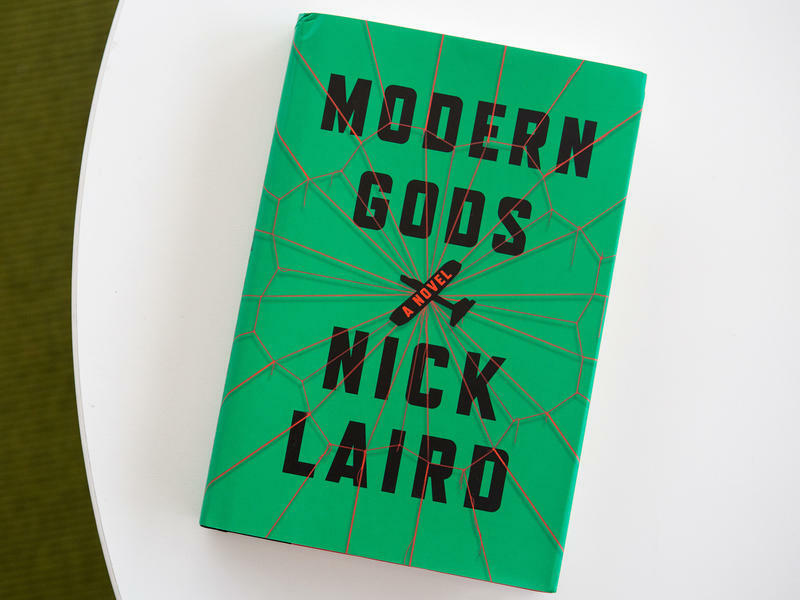 The novel starts out with a lot of promise, but like the beliefs and conventions it punctures, Modern Gods itself ends up being a lot of wild blather. Copyright 2018 Fresh Air. To see more, visit Fresh Air.